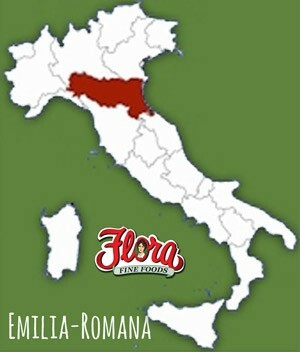 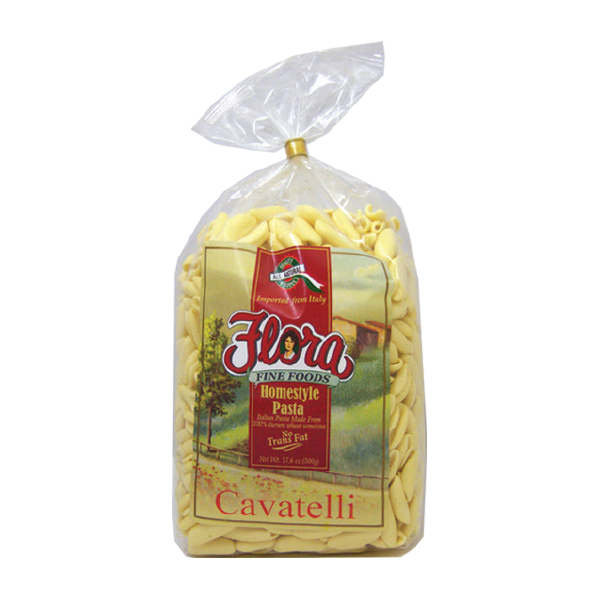 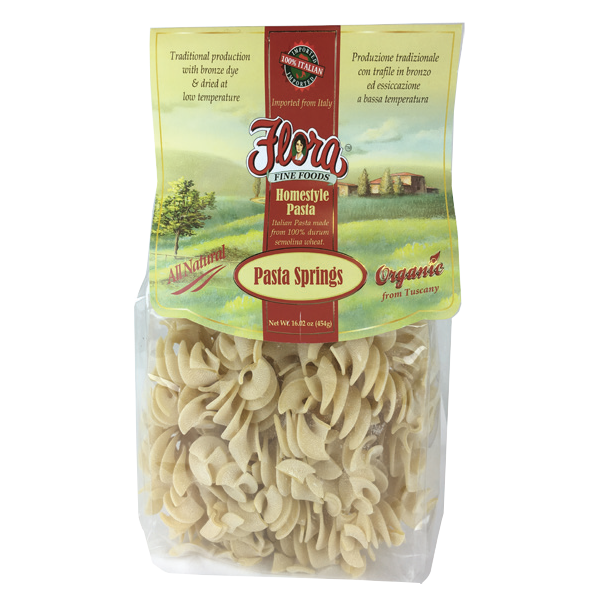 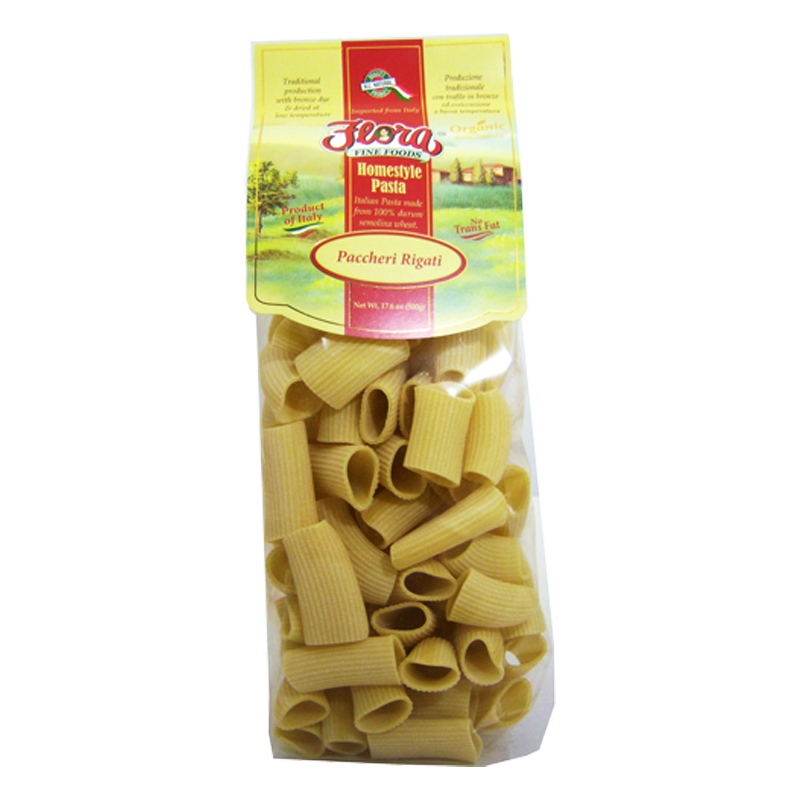 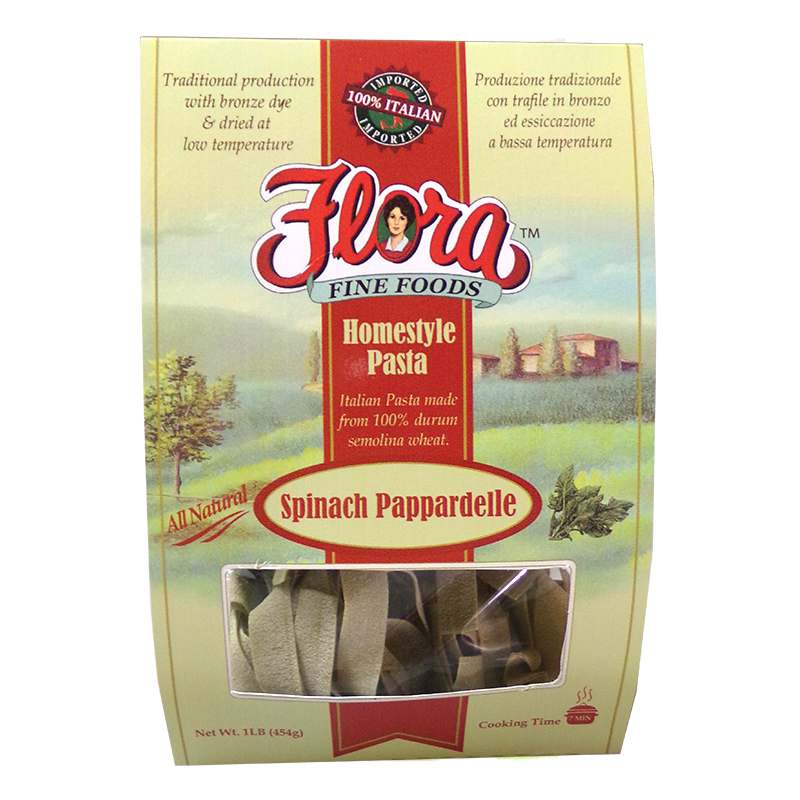 Flora Spinach Pappardelle can be used in any dish that you’re looking to include an earthy, large pasta to your dish. 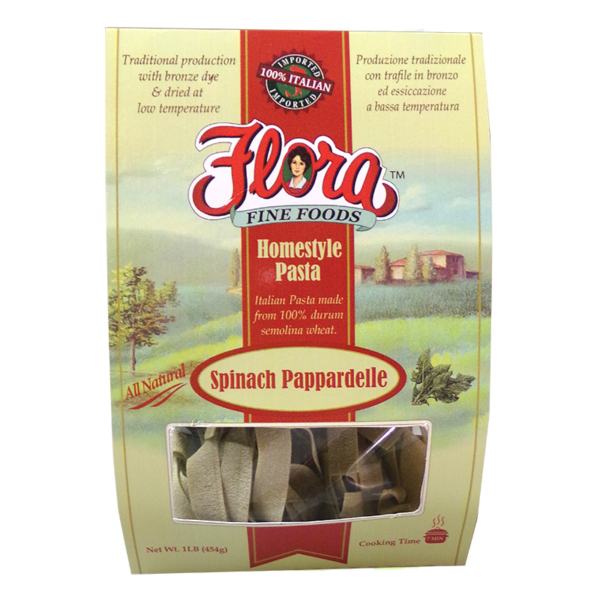 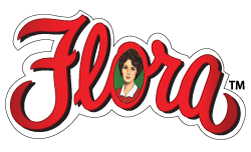 Flora Spinach Pappardelle is 100% imported from Italy and the closest thing you can get to the old country in your kitchen today. 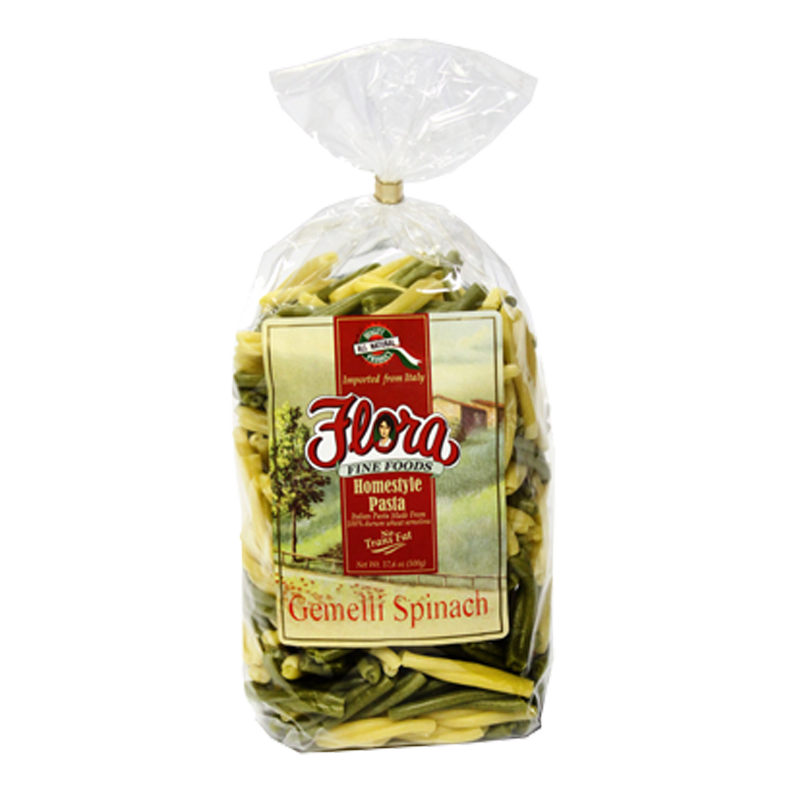 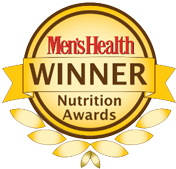 Combined with a hearty portion of real Italian spinach, this pasta goes wonderfully with any of the Flora Tuscan Tomato and Basil pasta sauce or Pesto All Genovese.